NO – Nitric Oxide – is a vital chemical messenger which relaxes otherwise constricted and stiff blood vessels, increasing both oxygen and blood flow. So it’s vital for reducing blood pressure and therefore heart health. Improved blood and oxygen flow is also critical for better brain function as the brain uses 20% of our oxygen intake. 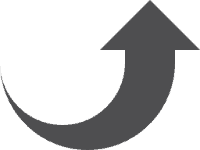 It’s also a way to help in cases of ED – erectile dysfunction. Drugs like sildenafil work in exactly this way – boosting nitric oxide signalling, relaxing arteries and increasing blood flow. And adequate Nitric Oxide is equally important for women, because unhindered blood flow helps sexual arousal in both men and women. The interior surface of your arteries is called the endothelium and it produces nitric oxide. 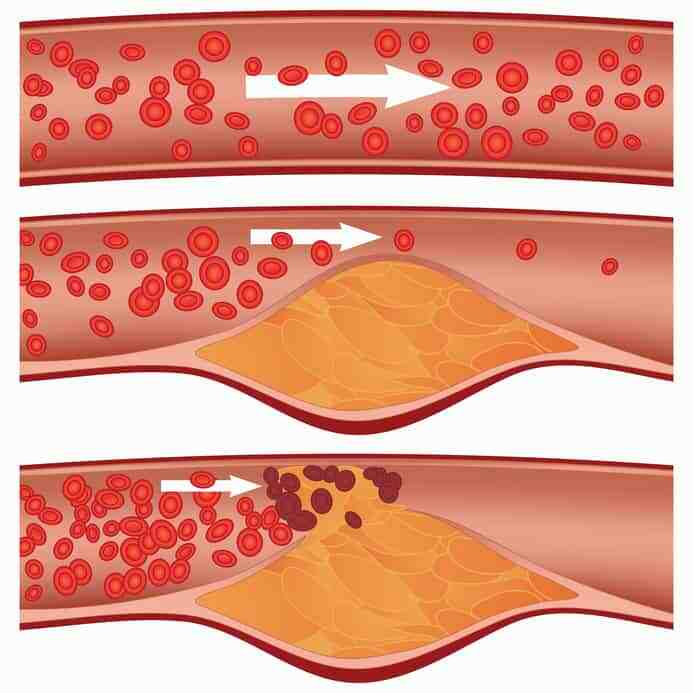 When oxidised cholesterol (plaque) builds up there – the condition known as atherosclerosis – you reduce your capacity to produce nitric oxide and your arteries then become rigid, making blood flow more difficult. Your blood pressure rises and that significantly increases your risk of a heart attack, stroke or sexual dysfunction. Preventing this chain of events is why physicians prescribe nitroglycerin for heart and stroke patients. But beetroot has a similar effect! The normal action of Nitric Oxide is impaired by excess free radicals. Some free radical action is a normal part of metabolism – when food molecules are broken down in the presence of oxygen to create energy. But there are occasions when oxygen in the body splits into single atoms with unpaired electrons. Electrons need to be in pairs, so these atoms, now called free radicals, scavenge the body to seek out other electrons so they can become a pair. This causes damage to cells, proteins and DNA. As a consequence, free radical damage is linked to cancer, atherosclerosis, macular degeneration, Alzheimer’s disease, Parkinson’s disease and to ageing generally. 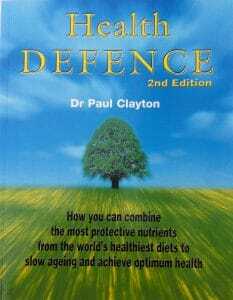 Indeed, ageing has been defined as a gradual accumulation of free-radical damage. 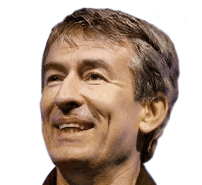 Free radicals – and what is called oxidative stress – can be created when we consume high-temperature fried foods and alcohol, when we exercise to excess, or when we are exposed to tobacco smoke, residual pesticides and air pollutants. 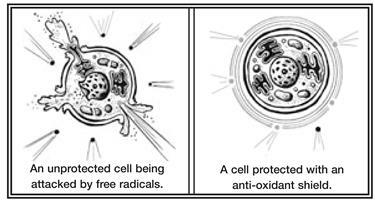 If oxidative stress is the enemy of Nitric Oxide, anti-oxidants are the solution. You need to bathe your blood stream in anti-oxidants to neutralise excess free radicals. This ensures that your endothelial cells can produce the Nitric Oxide that will, in turn, keep your arteries supple and your blood pressure normal. You do that with anti-oxidant-rich foods like berry fruits, kale, broccoli and spinach, and nitrate-rich foods like beetroot and leafy green vegetables. The nitrate in these plants is converted into nitric oxide in the body. Indeed researchers were able to show that drinking 250ml beetroot juice could drop blood pressure in a group of normal BP people by 10 points in just two hours. This suggests that a regular mixed salad with rocket, lettuce, coriander, basil and beetroot can be a top blood pressure lowering dish. Nitrates for boosting athletic performance? It also suggests that nitrate-rich foods might boost athletic performance. And this seems to be true. A study (referenced below) where cyclists were given beetroot juice before training showed that their energy production became 11% more efficient. For a top athlete that is a huge competitive advantage. Eating nitrate-rich foods is one important way to lower blood pressure. Another way is to increase your consumption of foods containing the amino acid L-arginine, which can be found in nuts, fruits and dairy. Nitric oxide only lasts a short time in the body, so the more antioxidant protection we provide it, the longer the effects will last. In fact, surgeons are even coating stents (the mesh tubes that prop open arteries after surgery) with drugs that produce nitric oxide. You can protect your nitric oxide by consuming anti-oxidant rich foods as outlined above, and by supplementing with anti-oxidant nutrients including vitamins C and E, beta carotene, Co-Q10, lycopene, lutein and selenium. 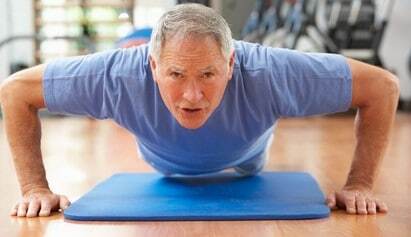 When you exercise, your muscles need more oxygen, which is supplied by the blood. As the heart pumps, the lining of the arteries releases nitric oxide into the blood, which relaxes and widens the vessel wall, allowing for more blood to pass through. As we get older, however, our blood vessels and nitric oxide system become less efficient due to free radical damage, causing our veins and arteries to become less elastic. So maintaining activity and exercise is important for Nitric Oxide health. There’s a final heart/brain benefit to nitric oxide: in addition to relaxing or vasodilating blood vessels, nitric oxide also displays anti-platelet properties, which helps to prevent inappropriate blood clotting. Beetroot juice and exercise: pharmacodynamic and dose-response relationships. Wylie LJ, Kelly J, Bailey SJ, Blackwell JR, Skiba PF, Winyard PG, Jeukendrup AE, Vanhatalo A, Jones AM. J Appl Physiol (1985). 2013 Aug 1;115(3):325-36. doi: 10.1152/japplphysiol.00372.2013. Epub 2013 May 2. Nitric Oxide: a molecule of the millennium. Shinde UA, Mehta AA, Goyal RK. Indian J Exp Biol 2000 Mar;38(3):201-10. Discovery concerning nitric oxide as a signaling molecule in the cardiovascular system. 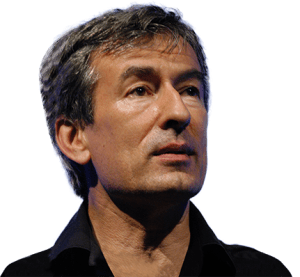 Furchgott RF, Ignarro LJ, Murad F. Nobel Prize in Medicine and Physiology 1998. Age-related reduction of NO availability and oxidative stress in humans. Taddei S, Virdis A, Ghiadoni L, Salvetti G, Bernini G, Magagna A, Salvetti A. Hypertension. 2001 Aug;38(2):274-9. Antioxidants and the bioactivity of endothelium-derived nitric oxide. Tomasian D, Keaney JF, Vita JA. Cardiovasc Res. 2000 Aug 18;47(3):426-35. The biggest single risk to your long term health is what’s called ‘chronic sub-clinical inflammation’. It’s a continuous, damaging level of inflammation of body tissues that tends to build up as we age, but is normally not noticeable. So it’s an insidious, but major threat. We are normally familiar with inflammation as the sign of a good immune response. We suffer a cut or sting and the area becomes inflamed – which is a sign that your immune system is working to bring healing white blood cells like neutrophils and macrophages to cure the problem. But that type of inflammation is called acute inflammation. The cause and the cure are both short term. The problem arises when damage occurs within your body’s tissues, but that damage is not completely cleared by the immune response. That sets up a low level of continuous, long term chronic inflammation that damages cells and tissues. This type of inflammation is a key driver of heart disease, stroke, diabetes, erectile dysfunction and indeed any diseases ending in ‘itis’ – which means inflammatory. So arthritis, colitis, sinusitis and many, many, more. It also creates an environment that more easily allows the spread of cancerous cells. Salmon contains Omega-3 fatty acids. Studies show that people who have a higher intake of Omega 3 suffer fewer heart problems because Omega 3 reduces inflammation and helps lower cholesterol . The American Heart Association suggests you eat oily fish like salmon, tuna, mackerel, sardines, trout and herring at least 2-3 times a week. 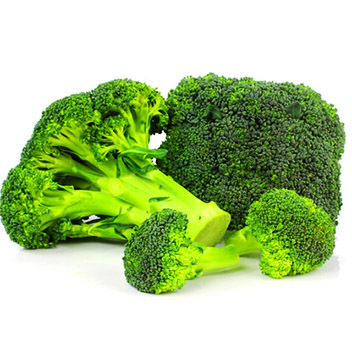 Broccoli is a cruciferous vegetable, part of a group including cabbage, Brussels sprouts and cauliflower. They are high in a plant compound called glucosinolates, which are powerful antioxidants and anti-inflammatories. Population studies show that eating a diet high in cruciferous vegetables is linked to a lower risk of cancer. 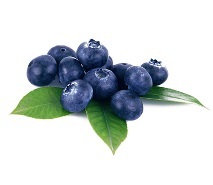 Blueberries contain significant amounts of polyphenols and carotenoids.It is the polyphenol and carotenoid content of plant foods, not just their vitamins and minerals, which makes fruits and vegetables so valuable to your health. Carotenoids are largely concentrated in the skin and colouring of fruits like blueberries, raspberries, blackcurrants and strawberries – and they and polyphenols have potent antioxidant and anti-inflammatory effects, which researchers strongly believe helps prevent cancer and cardiovascular disease. The carotenoids lutein and lycopene are known to prevent and repair the DNA and cellular damage done by free radicals – which, unchecked, can trigger cancer. Kale is a great source of vitamins A, C, and K, and the minerals calcium, iron, magnesium and potassium. 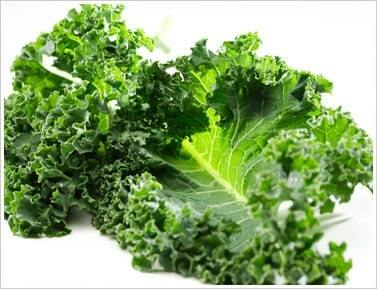 Kale, like broccoli, contains glucosinolates, plus the carotenoids lutein and zeaxanthin. These carotenoids have been shown to protect vision and lower your risk of developing cataracts and macular degeneration. A similar anti-inflammatory superfood is spinach. 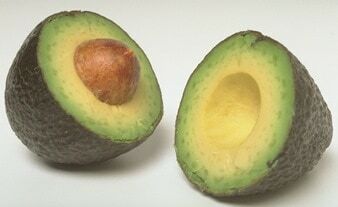 It too contains lutein, vitamin K2 (which is heart healthy), folic acid, and beta carotene. Research shows that people who eat a largely plant based diet, including these leafy green vegetables, have a significantly reduced risk of cancer and heart disease. Carrots of course contain the carotenoid beta-carotene which your body can convert to vitamin A as needed. Carrots also contain other carotenoids (zeaxanthin and lutein), and these antioxidants help reduce your risk of cancer by shielding your healthy cells from free radical damage. They are also a good source of fibre. 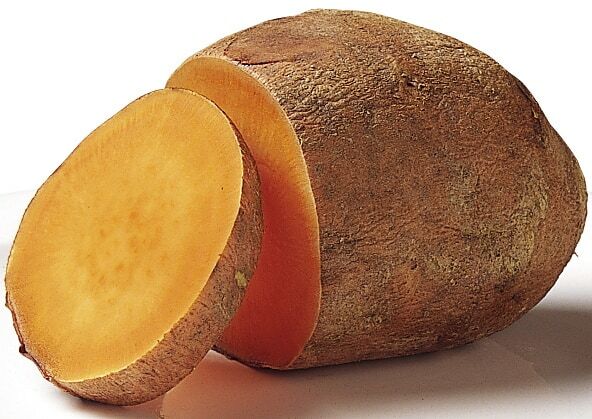 Sweet potatoes, like other orange-coloured vegetables, are also high in vitamin A and beta-carotene antioxidants and anti-inflammatories. They are also high in fibre and high fibre consumption is linked to lower cancer risk. 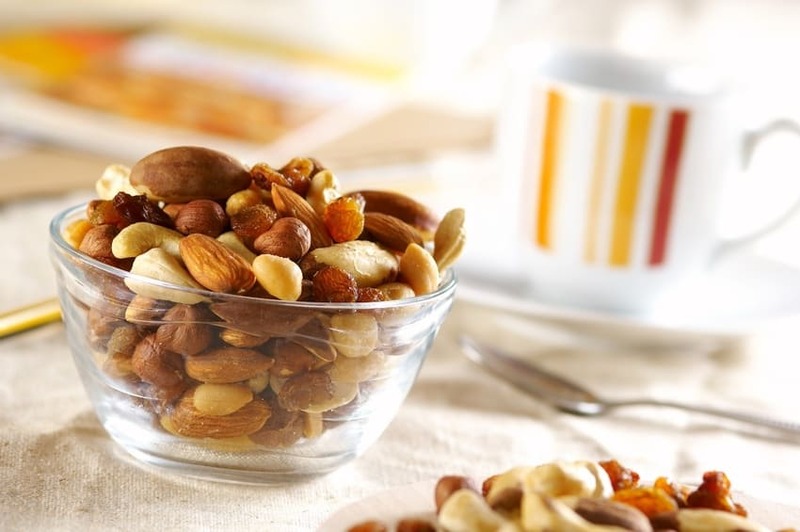 Nuts are very healthy, and you should try to incorporate a handful each day into your diet – either as a snack or on cereals. Eating almonds, walnuts, pecans and Brazils is linked to a lower risk of cardiovascular disease. Walnuts are a great source of protein, vitamin E, minerals and phytochemicals called sterols. They also contain monounsaturated fatty acids (as does olive oil) and heart-healthy Omega-3 fatty acids. Avocados are rich in monounsaturated fats, plus they’re a great source of magnesium, fibre, and potassium – all cardio-healthy nutrients. The combination of the vitamins, minerals, carotenoids and polyphenols in these top 7 (ish) foods is the basis of a highly anti-inflammatory diet. You really are – and will become – what you eat. But you must also aim to reduce the amount of pro-inflammatory foods in your diet. Your body uses fatty acids from the food you eat to make the outer membranes of cells and also certain important hormones. Omega 6 fatty acids – found in polyunsaturated plant oils like safflower, sunflower and corn oil and in very many ready meals and processed foods – are used by the body to produce hormones that promote inflammation. All this is why University College London recently joined the American Cancer Society in recommending 9-10 portions of fruits and vegetables a day. Plus the 2-3 portions of oily fish. Of course it is rather a challenge for most people – so an anti-inflammatory nutritional supplement like NutriShield that includes a range of polyphenols, flavonoids and carotenoids plusOmega 3, as well as an optimised level of vitamins and minerals, can be a good choice to ‘fill in the gaps’. If you want to read more about this topic you can download a free e-book called “Inflamm-ageing” below.